Doug Perkins sits down with creative people to talk about all things large and small on his show, 5 Days With Doug. 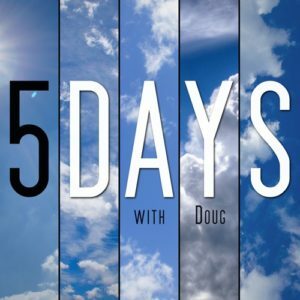 Starting with the simple premise of what his guest has been up to for the last five days, Doug explores how his guests navigate their day-to-day life and so much more. These intimate chats range from childhood, pet ownership, and artistic planning to love, death, and the wildest of dreams.